On the heels of collaborations with Puma, Manolo Blahnik, River Island, Dior, and Chopard – among others – Rihanna announced in 2016 that she was planning to launch a beauty collection. The music mega-star is teaming up with LVMH Moët Hennessy Louis Vuitton’s Kendo division to create her own line of products, entitled, Fenty Beauty. UPDATE (August 1, 2017): Rihanna announced via Instagram that she will alunch her beauty line on September 8th – during New York Fashion Week, where the Fenty x Puma collection will be shown on September 10th, following a brief sojourn to Paris last season. 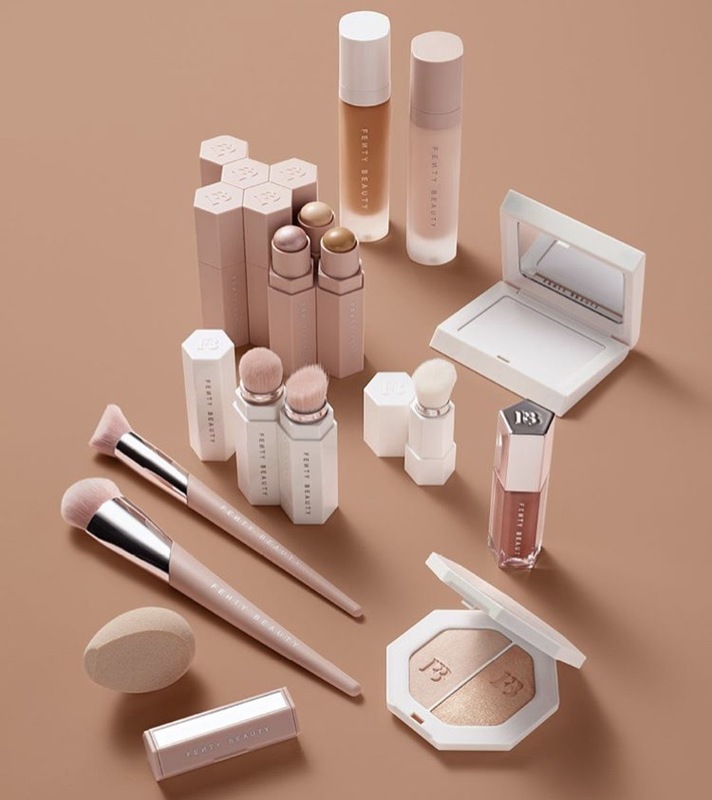 Fenty Beauty will be sold at Sephora, Harvey Nichols and on fentybeauty.com. Also in the mix: One lip product, a single $18 gloss that Rihanna says looks good on everyone. “For the gloss, I wanted a color that would work well on all skin tones," she says. And there are additional face products, as well, including multiple shades of contour and highlighter sticks, multi-use sticks in a variety of hues that range from bronze to purple. Rounding out the offerings: Primer, five makeup brushes, a blending sponge, and two variations on mattifying products - a mini blotting paper roll and a translucent powder.